Our Community Concerts give children, teachers, and parents the chance to experience an interactive musical performance in their neighborhood or school. Through this program, they will have the opportunity to hear a BPO chamber ensemble perform an exciting one-hour concert geared toward the child age group of the audience. 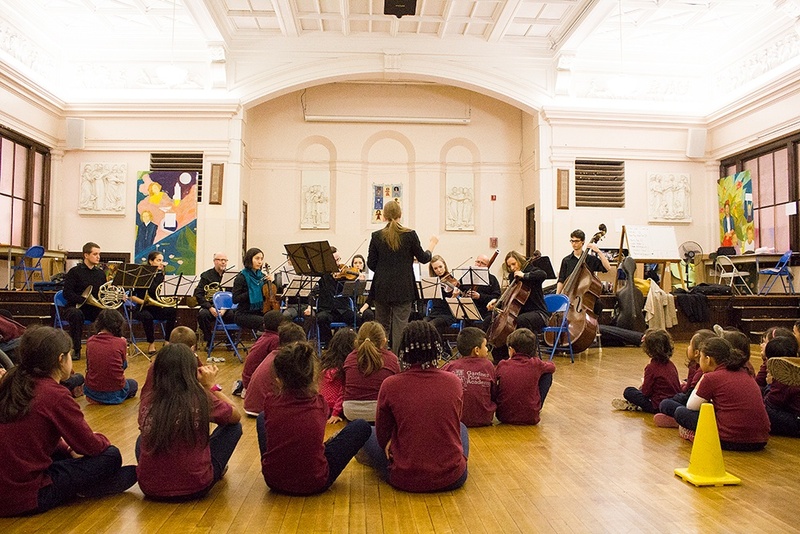 Community Concert performances bring 2–5 orchestra musicians from either the BPO or BPYO to perform for an audience of young students and their families. Many of these concerts tell a story through music and sometimes even involve musicians becoming the characters through acting and costume! Additionally, there is always a time set aside in the program to introduce the instruments and take questions from the audience. Through our Community Concert series, we work to tailor the programming to best fit our community partners.